One of the great things the cloud has brought information technology is the high-end service that abstracts away much of the grunt work that was traditionally required. Removing the need to procure servers, switches, and routers, and then place them in a rack, has been a benefit from the very beginning. As Amazon Web Services (AWS) continues to add and evolve service offerings, customers can gain enhanced agility by abstracting away even more of the traditional grunt work like service configuration and patching. This enables you to focus more time on goals instead of initial configuration and ongoing maintenance. Amazon FSx for Windows File Server delivers that experience for Windows file shares. In this post, we will cover both the features and benefits of this new service. Launched at AWS re:Invent 2018, Amazon FSx for Windows File Server provides a fully managed native Microsoft Windows file system that makes it easy to set up a highly scalable and available Windows file share. Furthermore, AWS performs all of the ongoing maintenance and patching. This service works much like Amazon RDS for SQL Server. Built on Windows Server, Amazon FSx provides shared file storage with the compatibility and features that Windows-based applications rely on, including full support for the SMB protocol and Windows NTFS, Active Directory (AD) integration, and Distributed File System (DFS). Amazon FSx uses SSD storage to provide the fast performance Windows applications and users expect, with high levels of throughput and IOPS, and consistent sub-millisecond latencies. This compatibility and performance is particularly important when moving workloads that require Windows shared file storage, like CRM, ERP, and.NET applications, as well as home directories. In addition to supporting cloud-based workloads, the Amazon FSx share also supports use by on-premises workloads. In this hybrid configuration, on-premises clients can connect through either a direct connect or Virtual Private Cloud (VPN), and an Active Directory forest trust enables on-premises AD users to authenticate to the file share with full support of NTFS permissions. Here are the most important things to know about Amazon FSx. Learn more about creating an Amazon FSx file system on the AWS News Blog. You can access your shares from Amazon Elastic Compute Cloud (Amazon EC2) instances, Amazon WorkSpaces virtual desktops, Amazon AppStream 2.0, applications, and VMware Cloud on AWS. Versions 2.0 through 3.1.1 of SMB are supported, allowing you to use Windows versions starting from Windows 7 and Windows Server 2008, and current versions of Linux (via Samba). Active Directory integration is built in, allowing you to easily integrate with existing enterprise environments. Amazon FSx delivers consistent, sub-millisecond latency. You can set the file system size and throughput (in megabytes per second) independently, with plenty of latitude in each dimension. File systems can be as big as 64 TB, and can deliver up to 2,048 MB/second of throughput. Your file systems are fully managed and data is stored in redundant form within an Availability Zone (AZ). You don’t have to worry about attaching and formatting additional storage devices, updating Windows Server, or recovering from hardware failures. Incremental file-system consistent backups are taken automatically every day, with the option to take additional backups when needed. You get multiple levels of access control and data protection. File system endpoints are created within VPCs, and access is governed by Security Groups. Windows ACLs are used to control access to folders and files; AWS Identity and Access Management (IAM) roles are used to control access to administrative functions, with administrative activities logged to AWS CloudTrail. Your data is encrypted (using a KMS key that you can control) in transit and at rest. The service is PCI-DSS compliant and can be used to build HIPAA-compliant applications. You can create file systems in distinct AZs, and can use Microsoft DFS to set up automatic replication and failover between them. You can also use Microsoft DFS Namespaces to create shared, common namespaces that span multiple file systems and provide up to 300 PB of storage. Amazon FSx is available now and you can start using it today in the US East (N. Virginia), US East (Ohio), US West (Oregon), and Europe (Ireland) Regions, with expansion to other Regions planned for the coming months. Pricing is based on the amount of storage and throughput that you configure. The AWS Partner Network (APN) is the global partner program for AWS and is focused on helping partners build successful solutions by providing business, technical, marketing, and go-to-market support. To quickly realize the benefits of Windows file storage, our 10 FSx launch partners are Premier and Advanced Tier APN Partners with deep technical training, and they are prepared to provide the service expertise to improve the manageability and efficiently of your Windows environment. APN Partners can help you quickly and easily move Windows-based applications that require file storage to AWS, eliminating the typical administration overhead of managing Windows file servers. They can engage with you to take on the management of setting up and provisioning file servers and storage volumes, installing Windows file server software updates and patches, and manually performing backups. Accenture is an APN Premier Consulting Partner and Managed Service Provider (MSP) provides a broad range of services and solutions in strategy, consulting, digital, technology, and operations. They employ an innovation-led approach to help customers imagine and invent their future. AllCloud is an APN Premier Consulting Partner and MSP and specializes in cloud enablement, from infrastructure to CRM/ERP applications. They were recently included in Gartner’s 2018 Magic Quadrant for Public Cloud Infrastructure Managed Service Providers Report. Cascadeo is a an APN Premier Consulting Partner and MSP that focuses on taking care of your deployments so you can focus on building products and services. They work with customers at every stage of their initiative, from the definition of your cloud strategy to the design, build, CI/CD automation, and management. Centare is an APN Advanced Consulting Partner and custom software development and consulting firm that works closely with corporations such as GE Healthcare, Milwaukee Tool, Johnson Controls, and Northwestern Mutual. They implement an agile approach to furthering business productivity and efficiency. CloudHesive is an AWS Microsoft Workloads Competency Partner and MPS that provides cloud solutions through consulting and managed services with a focus on security, reliability, availability, and scalability. They help companies reduce operating costs and increase productivity. EagleDream Technologies educates and empowers customers to innovate, accelerate, and grow using next-generation technologies. They specialize in the delivery of solutions at the intersection of cloud migration, application development, security, compliance, and user-centered design. ECS is an APN Premier Consulting Partner and MSP that delivers cloud, cybersecurity, software development, IT modernization, and advanced science and engineering services. They takes pride in serving military, federal civilian, and commercial clients with a collaborative approach to solving critical and complex challenges. Onica is an APN Premier Consulting Partner and MSP that combines deep AWS and Microsoft experience to create integrated Microsoft solutions running on AWS. They automate Microsoft deployments onto AWS, and managing the complexities of enterprise migrations from legacy infrastructures. REAN Cloud is an APN Premier Consulting Partner and MSP that offers managed and professional services, as well as patent-pending solutions for hyperscale integrated infrastructure (IaaS) and platform (PaaS) service providers. Six Nines is an APN Premier Consulting Partner offering a full range of cloud services to accelerate adoption and reduce risk, including their proprietary five-phase cloud adoption framework, AWS Well-Architected Review, Migration Assessments, and Cloud CIO Cost & Billing Optimization. stackArmor is an AWS Microsoft Workloads Competency Partner that delivers secure and compliance-oriented IT solutions to regulated industries in government, financial services, healthcare, nonprofits, and energy. They protect customers from the cyberthreat challenges through systems engineering best practices. Amazon FSx for Windows File Server gives administrators fully managed file storage served by Microsoft Windows Server running on AWS, enabling customers to easily run Windows workloads both in the cloud and on-premises without making changes to the applications and tools you use today. 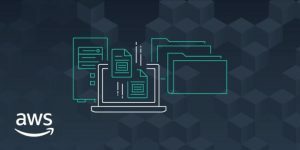 With a few clicks in the AWS Management Console, customers can create a file system for Windows applications that’s highly available and durable, and that can be accessed from multiple compute instances at the same time. Amazon FSx for Windows File Server eliminates the administrative overhead of setting up and provisioning file servers and storage volumes, keeping Windows software up to date, detecting and addressing hardware failures, and performing routine backups.